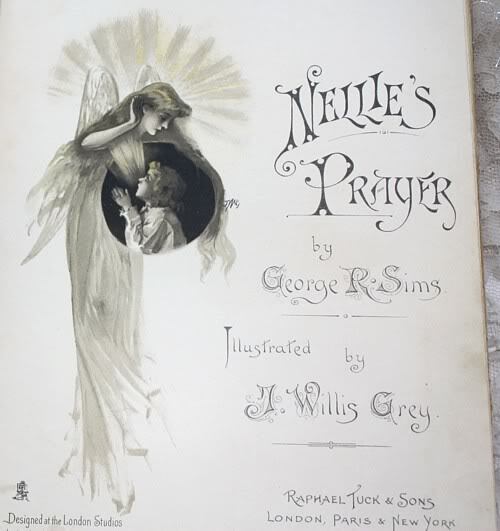 Beautiful Children's Victorian Storybook, printed ca 1890 by Raphael Tuck, Nellie's Prayer was written by George R. Sims, and illustrated in duo~tone by J. Willis Grey. 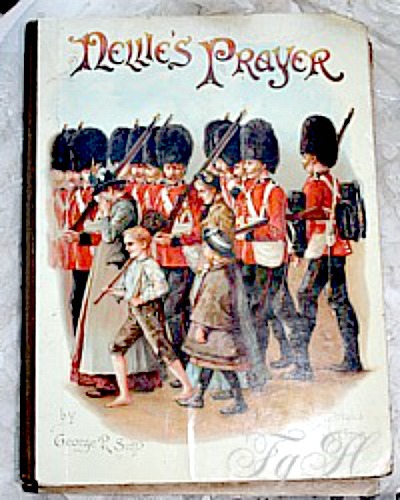 Gorgeous decorative chromolithographed hardboard covers make this an especially treasured find. A touching and sweet story, twenty pages long about a little girl who misses her Daddy and prays for him to return home. Good condition, edge wear on the covers, binding tight. 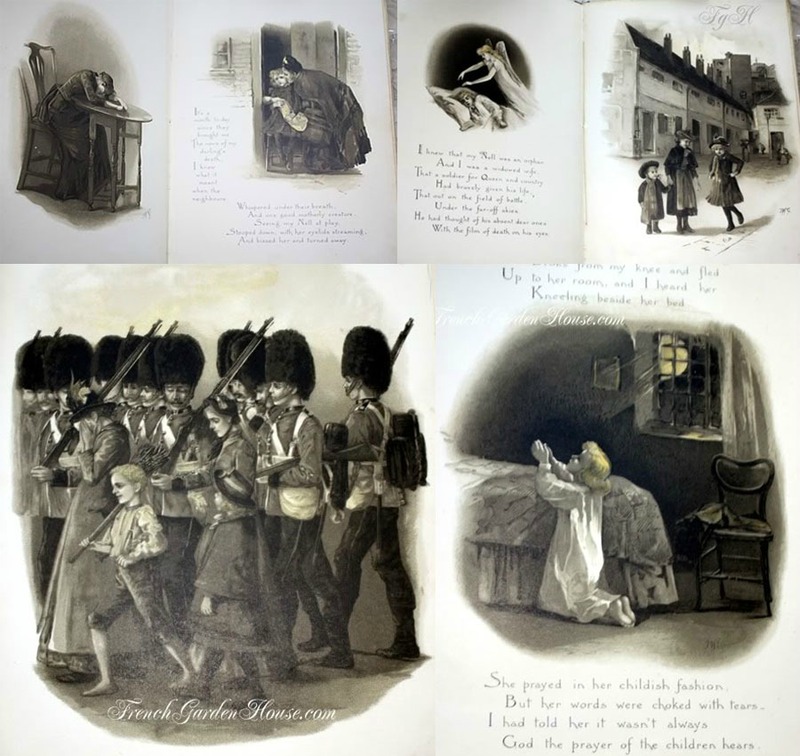 A fabulous and rare addition to your collection of Victorian Children's Books, or if you collect military, veterans, and war memorabilia. Display with your antique French and German dolls and bears for a touching scene.